Denver saw an outpouring of celebrity love during last week’s DNC, with Ben Affleck leading the philanthropic pack. 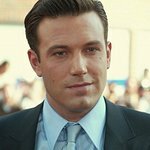 On the Tuesday night, Affleck took part in a poker tournament, along with Richard Dreyfuss and Montel Williams, which ultimately raised over $60,000 for the Paralyzed Veterans of America. “A lot of important organizations use this environment and the people who are here, celebrities, members of Congress, to try and raise money. This is not a Democratic or Republican group, this is a group serving our veterans,” Affleck said of the charity. Wednesday morning, the Pearl Harbor star was down at a local food bank, the Food Bank of the Rockies, to participate in a repack event for Feeding America. Also on hand for the event were members of the Senate Hunger Caucus and members of the House – all there to see who could pack the most boxes of food in five minutes. Affleck, incidentally, won both the poker and the packing events. He was joined by wife Jennifer Garner for a book reading at the Starz Green Room. Also set to attend were Charlize Theron, Daryl Hannah, Rosario Dawson, Kerry Washington, Josh Brolin, Kal Penn, Stuart Townsend and Hill Harper. Jennifer Lopez spoke at a reception sponsored by the Jennifer Lopez Foundation in honor of Marian Wright Edelman, founder of the Children's Defense Fund. Fran Drescher, Ashley Judd and Joy Bryant joined Lopez in honoring Edelman. The Black Eyed Peas performed at the Fillmore Auditorium for the Creative Coalition, and Kanye West performed at a party benefitting the ONE Campaign. Forest Whitaker, Kal Penn and Jamie Foxx were in attendance at the latter. Moby performed at a private party for DoSomething.org, and Willie Nelson sang out for the people of Darfur at Red Rocks Amphitheatre.